Studio Carry On Harry , Singapore , talk show guest King Grossman is a unique combination of poet, novelist, and social justice activist. 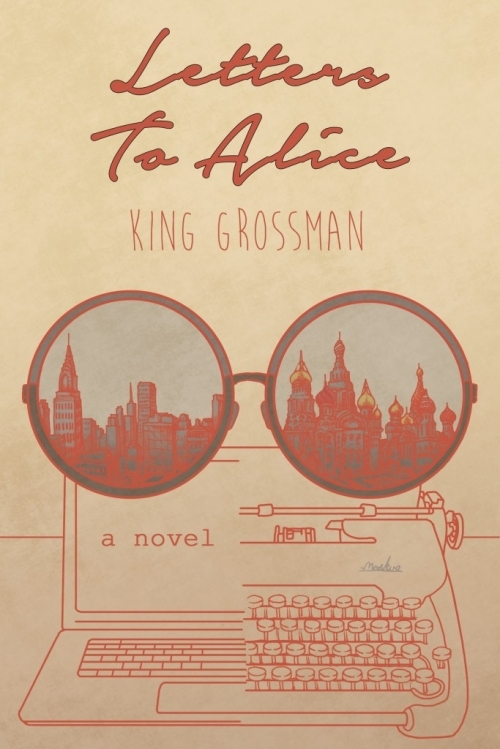 So it’s no surprise that Grossman’s latest novel offers an unexpected yet intriguing combination of story lines and is garnering rave reviews. According to Kirkus Reviews, Grossman’s newly published novel, Letters to Alice, is “an ardent, well-told story that manages to connect Occupy Wall Street, the Arab Spring, and Doctor Zhivago.” Letters to Alice is available through amazon.com, barnsandnoble.com, or you can visit Grossman’s author website kinggrossman.org. This lyrically written novel gives you Frazier Pickett III, the “slumbering man.” He has taken up looking over the top of fake reading glasses. His dirty little secret: He’s desperately myopic, actually preferring not to clearly see what’s going on. Having penned three unpublished manuscripts, the slumbering man hasn’t written anything in over four years, nor has he been to a street protest to push back against endless warring, climate change, economic injustice, or just name any number of movements of which he used to be on the front lines. Margaret, his wife, tunes him out as much over his worsening condition as her angst in not being able to find the courage to pen the novel she dreams of writing. In need of muses, while Margaret distantly awaits him to be hers, the slumbering man falls for the beautiful French contemporary artist Anastasie Moreau. Letters To Alice also tells the story of Katya Ivashov, Boris Pasternak’s young writing protégé, who inspires Pasternak to get his manuscript for Doctor Zhivago smuggled out of Russia for publication in the West, risking their lives. What does this have to do with ending Frazier’s slumber or perpetuating it and, what’s more, who is Alice? Talk Show will be out soon be playing on this platform.